Dr. Tanya Stambuk was hailed as "a player with a powerful technique, ideas of her own, and considerable promise" by the New York Times. Her concert career has taken her across the United States and throughout Western and Eastern Europe. She has performed with the Orchestre de Toulouse in France, the Virginia Symphony, Chicago Civic Orchestra in Orchestra Hall, the Bergen Philharmonic, the Lake Charles Symphony and Rapides Symphony Orchestra in Louisiana, Washington's Olympia Symphony, Yakima Symphony, Tacoma Symphony, Seattle Symphony and Oregon's Rogue Valley Symphony. Dr. Stambuk has been heard in recital at the Dubrovnik Summer Festival in Croatia, the Robert Schumann Summer Festival in Germany, and in the Auditorio Nacional Carlos Alberto in Portugal where she won the international piano competition. She was also invited as a guest artist at the Perugia Summer Festival in Italy. Dr. Tanya Stambuk has made guest appearances on radio in New York City, Moscow, and in Croatia, and has appeared on a television program entitled IN PRAISE OF WOMEN PIANISTS. She has performed at the 92nd Street Y and Merkin Hall in New York City, the Music Academy in Philadelphia, the Phillips Collection in Washington DC, the Dame Myra Hess Series in Chicago, the Piano Series at the San Diego Art Museum, and at Brigham Young University, Texas A&M University, and the University of Hawaii. She premiered Norman Dello Joio’s newly revised Fantasy Variations for Piano and Orchestra in Florida and North Carolina which led to numerous performances of the music of Norman Dello Joio, and has unexpectedly led to her being considered an authority on and interpreter of the music of American composers. Tanya Stambuk has recorded the piano works of Norman Dello Joio on the Centaur label. Dr. Stambuk is a member of the Finisterra Piano Trio. The Finisterra Piano Trio is Artist-in Residence at The Season’s Concert Series in Eastern Washington and the Phoenix Concert Series in New York City. They have performed in England, Italy, and across the United States. Most recently, Tanya Stambuk recorded the complete piano trios of composer Daron Hagen with the Finisterra Piano Trio on the Naxos label. Ned Rorem, famed American composer, called Finisterra's recording of Hagen's piano trios, "exquisite." The recording was also named one of the five best American Contemporary Classical Releases by NPR. Dr. Tanya Stambuk is also a member of the Puget Sound Piano Trio with fellow professors of the University, Alistair MacRae and Maria Sampen. Dr. Stambuk’s main passion is teaching and to nurture individual growth in her students. “I enjoy working with Puget Sound students because they continually challenge themselves and are not afraid of taking new paths. It has been a great experience for me to get to know these students on an individual basis. They are enthusiastic and inspiring people who make my work fun and exciting," says the beloved piano professor. Many of her students have gone on to renowned graduate music programs, won competitions, and are both performing and teaching. 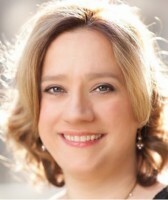 Dr. Tanya Stambuk is a graduate of the Juilliard School, (BM and MM in Piano Performance) and Rutgers University (DMA in Piano Performance). She credits Robert Turner, Sasha Gorodnitzki, and Ilana Vered as her major mentors in learning the art of piano performance.